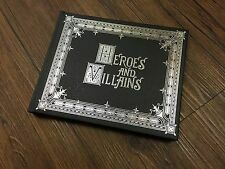 The book Issac wrote, to ensure villains will get happy endings. Content is erased by the new Author so it's all blank now. Legs ending in cloven hooves, the staff of Asclepius rises from their crotch. Their right arm is raised in a magical blessing with the word SOLVE written on their forearm, while their left arm is stretched downwards and outwards invitingly, forearm bearing the word COACULA. From the new Primark Game of Thrones range. Lovely new snow globe featuring the Iron Throne. Size of the globe is 8 inches wide by 11.43 high and 8 inches depth. 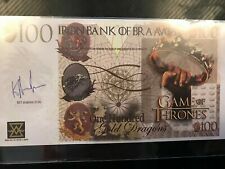 Ideal gift for any fan of Game of Thrones. Function: Collectible tv show coin. Color: Iron. Material: Iron. Size: 27 mm / 1.06 in. C omplete with a clear sealed bag. C ol le ct ab le n ov el ty n ot e.
Knut: about 22mm/0.86". Galleon: about 40mm/1.57". Sickle: about 33mm/1.29". This could be the best Present / Gift for your family or your friends. Buy It Now. NEW SEALED. Happy SKYLANDERS Hunting. This wonderful antique-style wall sculpture features a winged bat with 8 convenient ½” hooks suitable for hanging keys, leashes, and more! Attractive antiqued brown finish. CAST IRON BAT 8-HOOK WALL SCULPTURE. Happy SKYLANDERS Hunting. USED NOT SEALED. Tarot Table Cloth Bag Altar Divination Cards Wicca Square Cloth Pouch 25.5"
Pouch: about 12 18cm/4.5 7". Size: Cloth: about 65 65cm/25.5 25.5". Buy it now. DO NOT DUPLICATE OR COPY! Eight Great Houses of Westeros. These Half-Dragons are struck in brass and feature a unique depiction of the character along with their house's sigil. Tywin Lannister Half-Dragon Tywin Lannister is head of House Lannister, one of the most powerful lords in Westeros, and father to Jamie, Cersei and Tyrion Lannister. Coin Weight:About 35g. Material:999 Silver. width: 12 x height: 7 x length: 5 x weight: 0.06. Happy SKYLANDERS Hunting. OCT. 16TH 2016 RELEASE . Rose Gold Version, last image of silver brush set is for reference for words printed on brushes. FAST DISPATCH! Item Type: Makeup Tool Kit. Quantity: 8pcs. NEW GOTHIC GOLBETS. Helpful Links. Hence the motto of the Targaryens, "Blood and Fire". We're Rated Excellent See our. Like what you see so far?. excellent service. Top Categories. New arrivals. Quick links. What’s new. Inks on silk. A magnificently-rendered phoenix. Exquisite detail and striking colors. Signed, with collector's marks. Condition: Excellent. 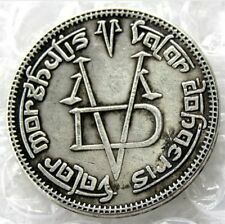 Fantasy Coin by Shire Post Mint, Vampires, Halloween! Size and Direwolf finish. The acrylic direwolf is painted with acrylic paint and gives off a flashy appearance. The natural variation is hand burned only with no finish, and gives it a rustic Winterfell and Stark look. On a rocky outcrop, a young woman kneels, green dress flowing behind her and exposing her black fur-lined boots. Her forearms are covered by black leather bracers, and a brown wolfs-paw tattoo adorns her shoulder. Game of Thrones XL Tournament Banner Flag (House Stark) 5'-2" SHIPS IN ONE DAY! The banners are made of a high-quality nylon and polyester blend, which is durable and strong. people love them!Winter is Coming! This is a pre order. I will ship to you as soon as I receive them in the mail from att. No refunds. May have minor wear from shipping. Cast in bonded marble resin, this classic collectible is a stunning piece for any collection. This wonderful antique-style wall sculpture features a winged bat with 2 convenient 3” hooks suitable for hanging hats, coats, leashes, towels and more! Attractive antiqued brown finish with a touch of moss green. After the 1907 painting by artist Gustav Klimt (1862-1918) Celebrate Klimt's classic 19th-century depiction of the transformative power of love with this 360-degree work of sculptural art created exclusively for toscano in quality designer resin. You want to match a card in your hand with the current card shown on top of the deck, and you'll score points for the cards your opponents are left holding. And in UNO Minecraft, there's also a new Type of action card; when you draw the Creeper card, show it to the other players and they'll have to draw three more cards! Red iron bands circle the top and bottom of this imposing tankard. Above it, covering most of the body of the mug, is a highly detailed picture of the legendary Iron Throne, the seat of the kings of the Seven Kingdoms. From internationally renowned fantasy artist Anne Stokes, a paperback colouring book featuring 42 of Anne's artworks as colour-in line drawings. By Anne Stokes. Fantasy Art Colouring Book. plus 18 full colour page illustrations of her paintings. Up for auction is a brand new and sealed (on the inner box) Game of Thrones Bolton Map Marker from San Diego Comic Con 2014. This was purchased from the Dark Horse Comics booth and was made in a limited edition of only 1,200. Ships for $5 in the U.S. and $15 outside the U.S. PayPal only, please.